At present there are 206 students in high school. The government high school imparts education to students in both Telugu and Hindi medium with the help of 12 teachers. A special feature, the school has a very active music and PT teacher. Even though there is no playground attached to the school, the limited open space is utilized as a playground. 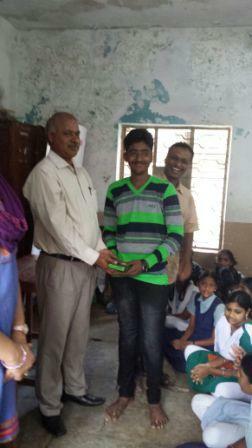 The children from the school have won prizes at state level competitions in kho kho. Approximately 90% of the school kids have jobs in the morning. Girls work as domestic help in affluent homes in the neighborhood where as boys work for newspaper vendors or milk distributor. 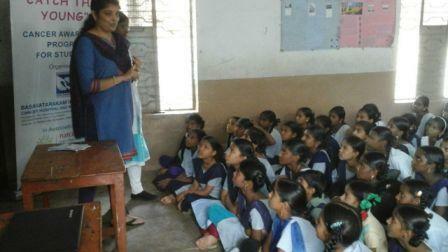 Based on the feedback received from the teachers, the students are very enthusiastic to learn. All the children have minimum 90% attendance in the school. 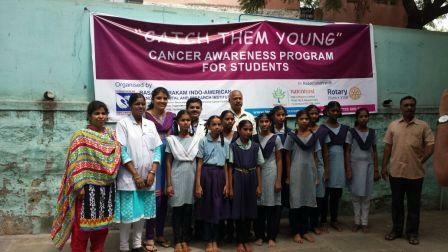 We would like to thank NATCO pharma and the school authorities for allowing us to conduct a session on cancer for children. 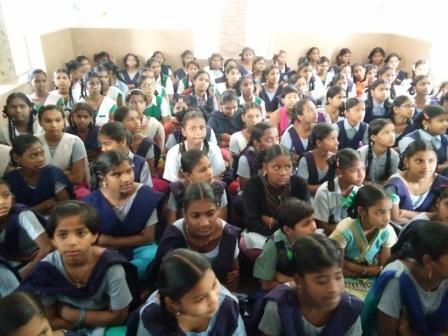 The program began with a personal hygiene session for all the girls. The session began with a basic introduction about the importance of hygiene followed by the biological changes in the body. We stressed more on the proper usage of sanitary napkins and their disposal. The girls though shy opened up about the issues that they faced during their monthly cycles. 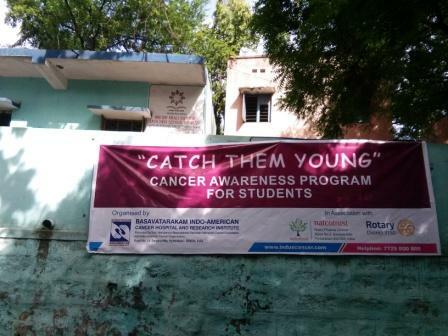 After this, a session on cancer awareness was conducted for boys and girls of 8th, 9th and 10th classes. To generate interest in the subject, the session was very interactive giving enough room for fluid discussions. 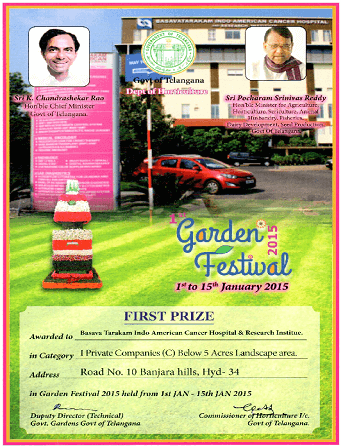 The session was closed with a success story of a cancer survivor and quiz competition. The winners were given prizes for answering the questions correctly.